One of the remarkable features of the human body is our ability to heal. If you break a bone, it will ultimately mend itself. Suffer a cut, and you will eventually be patched up. The key, though, is that you have to give your body time and rest so it can perform the necessary functions to repair damaged tissue. If you don’t, you create the risk of either reinjuring yourself or developing a chronic condition. When it comes to matter of ankle instability, this is especially evident. Let’s start our discussion of this particular chronic injury with a quick look at the overall anatomy of the ankle joints. 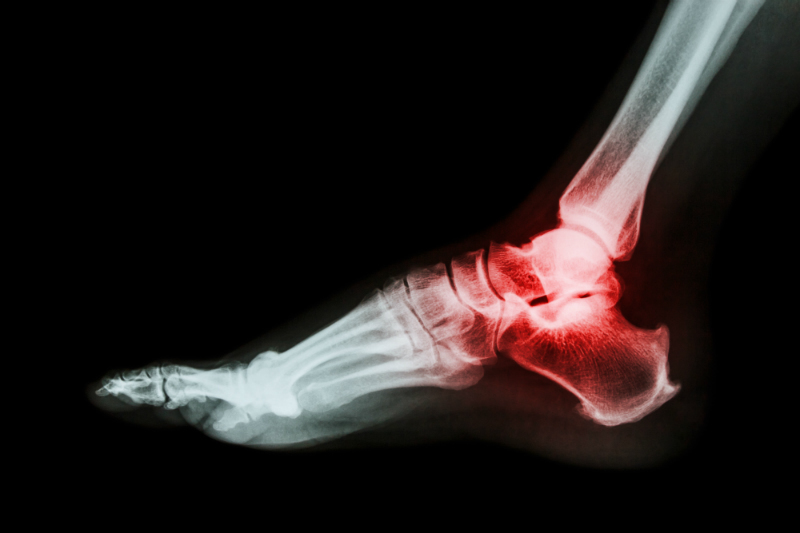 Your ankle is comprised of three bones—tibia, fibula, and talus. The talus sits above your heel bone and supports the tibia (your shin bone) and the fibula (thinner bone found next to the tibia). Everything is held into place by numerous ligaments that surround the respective ankle joints—both the true ankle and subtalar joints—and bind the bones together. This is all important to know when you consider how ankle instability is related to sprains. With regards to chronic ankle instability, we find more often than not that the root cause comes down to an ankle injury that was not properly rehabilitated or healed before a return to physical activity. In other instances, the problem is repeated injury to the same ankle that has led to these same long-term consequences. 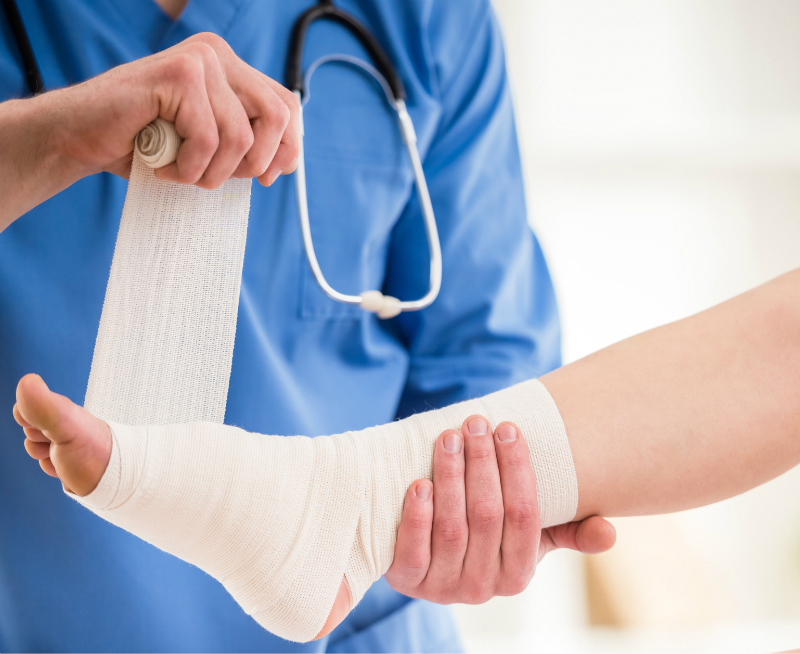 Out of all the possible injuries a human can sustain, ankle sprains are one of the most common. Some people may think an ankle sprain is something that only happens to athletes, but anyone who walks could, and most likely will, suffer from this injury at some point in their lives. All it takes is misstep down a curb or stepping on uneven terrain. What actually happens with an ankle sprain is that your foot twists beyond its intended range. This overstretches, or even tears, ligaments that hold the ankle together. When this happens, it is important to administer care, which begins with resting the ankle and cutting back on physical activity. Failure to do so can lead to long-term issues. Likely on account of how common they are, most people think a sprained ankle isn’t really a big deal. With proper care and attention, they might be right. Of course, it is imperative for that care and attention to be given before resuming your normal physical activities. 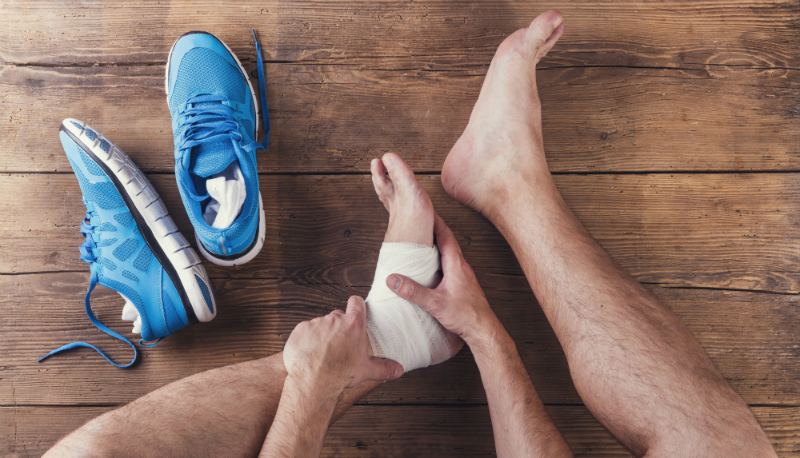 Rushing back into action on the court after an ankle sprain can possibly lead to chronic ankle instability and accompanying symptoms like pain, tenderness, persistent swelling, and a wobbly, unstable ankle. This all stems from the fact that a sprain stretches (or even tears!) the connective tissues and causes your ability to balance to become compromised. With subsequent sprains, the ligaments become weaker and increase the likelihood of additional problems. For this reason, it is essential that you spend time strengthening ankles after an injury as part of an effective rehab process. Condition your ankle dorsiflexion by performing an exercise that lowers your heels and raises your toes for up to three sets. An example of this is to stand against a wall and raise your toes towards your shins. Workout every other day and be sure to rest between sessions. Physical therapy is used to strengthen your ankle, retrain the muscles, and improve range of motion and your balance. Medication may be prescribed or recommended to reduce pain and inflammation. Ankle braces provide support, prevent turning, and decrease the risk of additional sprains. Surgery may be recommended based on the level of instability experienced in the joint, or lack of effectiveness from nonsurgical methods. Such a procedure typically entails reconstructing or repairing damaged ligaments, but this is certainly something that we will discuss before proceeding with such a treatment plan. You can reduce your risk of ankle injuries from happening in the first place by warming up and stretching before your basketball game or exercise routine. If you are not in condition for physical exertion, pass on playing ball for the time being and start a workout program to gradually build up your conditioning. Other preventative measures include wearing shoes that fit properly and are intended for the activity you are going to perform. When you have issues with your ankle, feet, or toes—whether a matter of a sports injury or otherwise—our Martin Foot & Ankle team will be happy to help. For more information about ankle instability, sports injuries, or to request an appointment with any of our five Pennsylvania offices, simply give us a call at (717) 757-3537. If you’d prefer, take a moment right now to contact us online.